Broken bones require immediate medical attention. Cracked and/or displaced bones can end up healing wrong and can then become permanently damaged. This is especially true when not tended to in a timely manner. To lower the long term problems, seek care at a local emergency room or urgent care. A first response doctor should be able to set the bone into its proper place and apply a temporary cast to keep it in place. 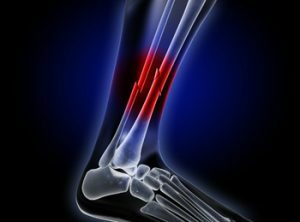 A follow up with a specialist is always recommended in order to get a permanent cast and obtain further diagnostic studies to monitor proper healing. Failing to take the steps to get help can lead to more severe and permanent damage that may have otherwise been avoided. While corrective measures may still be available in the event of delayed treatment, quick attention usually leads to the highest probably of full recovery. So if you are wondering what to do, always get checked out immediately! Slip/Trip & Fall. In this situation the victim encounters an obstacle on the ground that either causes them to slip or trip. The fall is unexpected resulting in the victim to land in an awkward manner. The break often happens to the part of the body that absorbs the impact. This might be the arm, legs, hip, ribs, neck or back, or a combination. Regardless the body party involved, be sure to take note of how the accident occurred and who may have created the obstacle. When someone negligently creates an obstacle such as water or debris and it causes another to fall, they should be held liable for the damages! Auto Accidents. Severe car crashes including ones where buses, trucks and pedestrians are involved creates major bodily trauma. The forces at play subject one to significant and unnatural force, leading to breaking. Which bones are affected depend on the location of impact, the severity of impact and the types of cars, trucks or buses participating in the collision. Further investigation is always necessary to determine the at fault driver and hold them accountable. Sports Injuries. When someone agrees to engage in a sport, they consent to the roughhousing that goes along with that sport. This means that when accidents happen, they have acknowledged the risk that they become hurt and voluntarily agreed to encounter it. Players of sports such as football, soccer and rugby commonly incur harm without recourse against the player who subjected them to the harm. One might say that the hurt player voluntarily subjected themselves to the harm. Nevertheless, malicious or intentional fouls could lead to the victim having rights in civil court for damages against the player committing the foul. 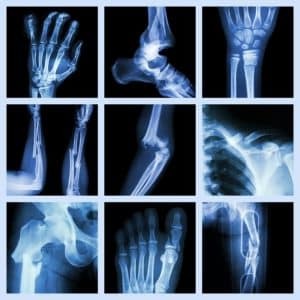 A broken bone is a significant injury that creates a lot of pain and suffering. It usually incapacitates the injured person from working and enjoying life for a period of time and sometimes forever. Medical expenses add up over time. When medical attention is obtained on an emergency or urgent basis, it is expensive. 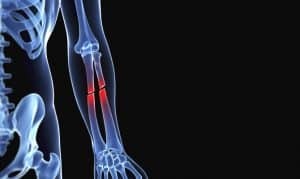 Where a femur, arm, shin, foot or hand is severely damaged by a crush accident, amputation is often the only option. In addition, a permanent loss in earning capacity due to physical limitation is a real possibility. All of these possibilities are both real and significant. No one should underestimate the serious nature of these injuries and just how life changing they can often be. If you are suffering and need to speak to a professional about what to do next, a personal injury lawyer is a good place to start. 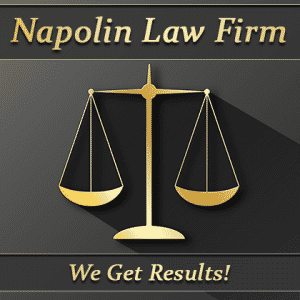 Here at The Napolin Law Firm, we are trial seasoned attorneys know what you are going through. We know the long term effects of these injuries. We are also knowledgeable in how to hold the person who causes them and their insurance company liable in a court of law. If you experience an injury and need help finding care and getting needed compensation to put yourself together, start by calling us for a free case evaluation. Have you, a family member or friend suffered through a car accident, work injury or accidental injury causing Broken Bones please contact our law offices. Call Now: (909) 325-6032.